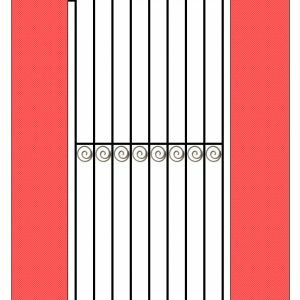 A perfectly simple and understated design. 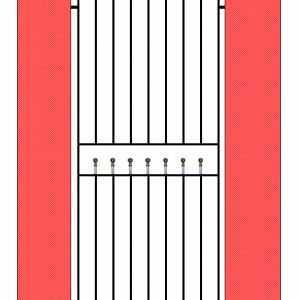 The round vertical bars project through the top horizontal rail by 100mm. 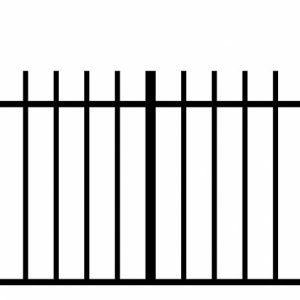 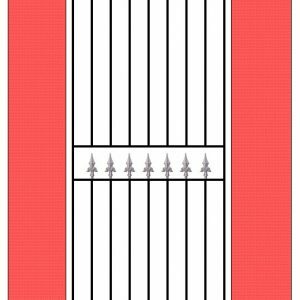 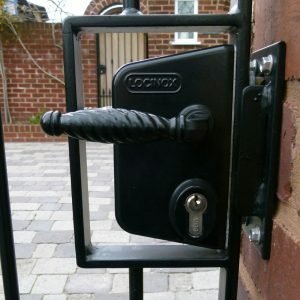 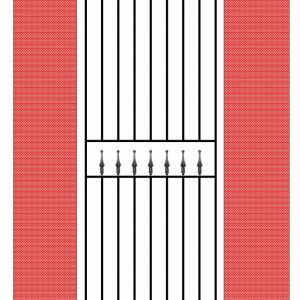 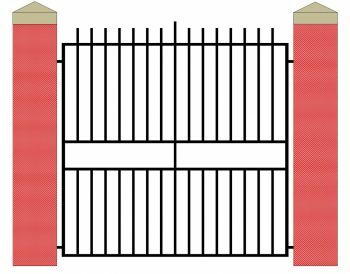 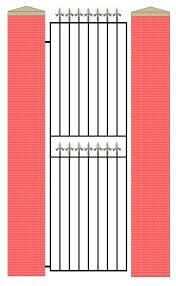 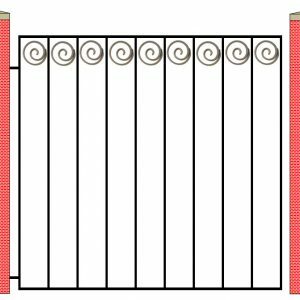 This product matches our Richmond Single Gate and our Richmond Railing. 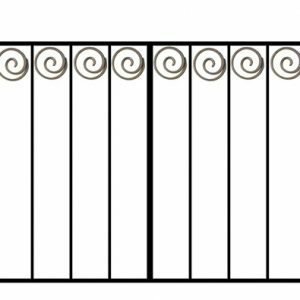 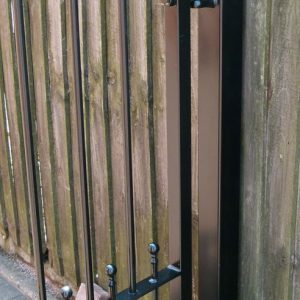 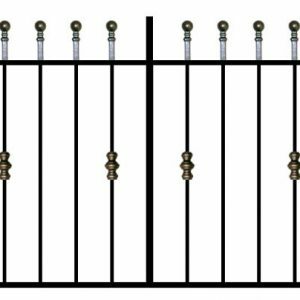 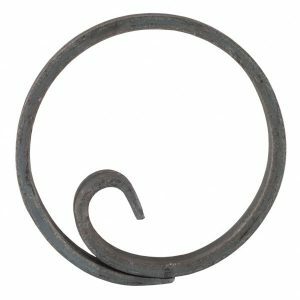 Made to order using 12mm solid round vertical steel bars spaced at 100mm intervals (4″), 30mm x 8mm (1.18″ x 0.31″) flat bar for top and bottom horizontal crossrails and 30mm SHS (Square Hollow Section) steel for the sides of the frame. 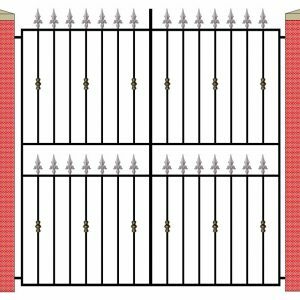 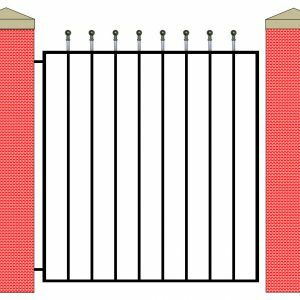 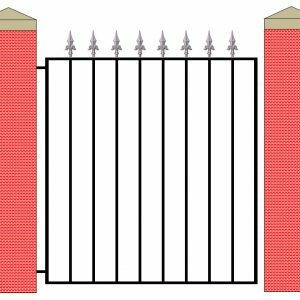 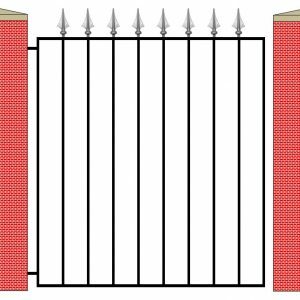 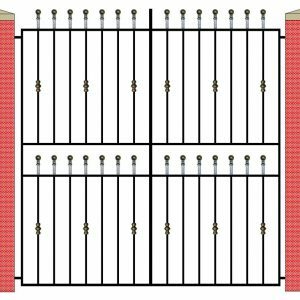 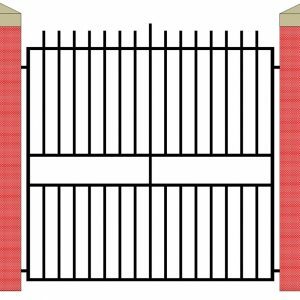 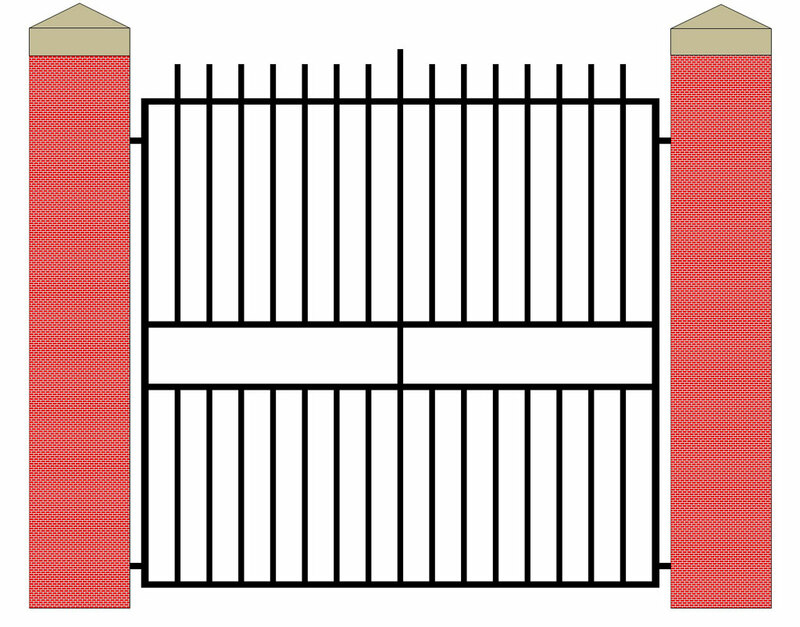 However, if the gates you require are very large the framework will be made to suit the size of gate specified in your order. 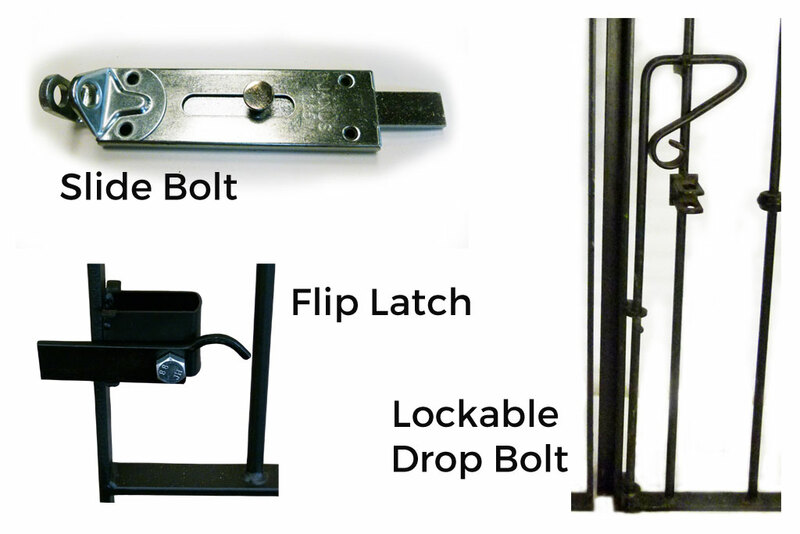 Also included free of charge is a fixing kit comprising brackets, hinges, latches, nut, bolts and a drop bolt.